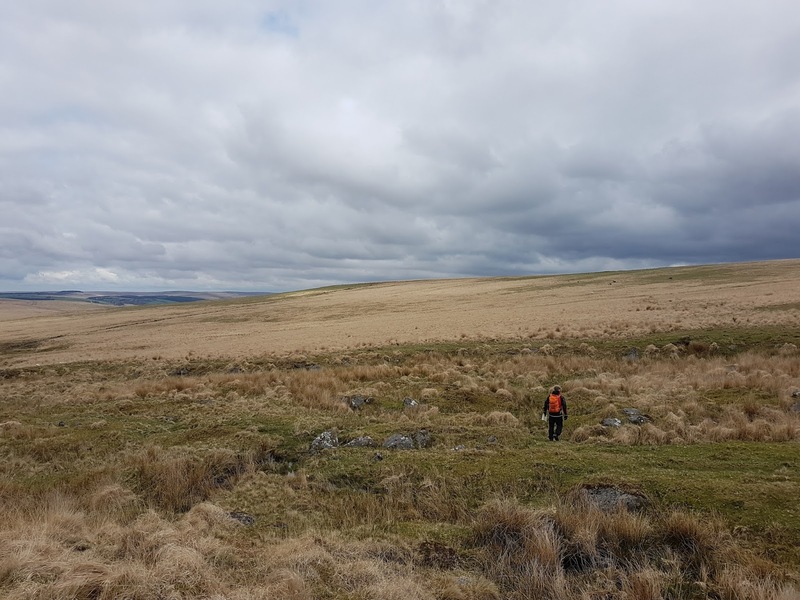 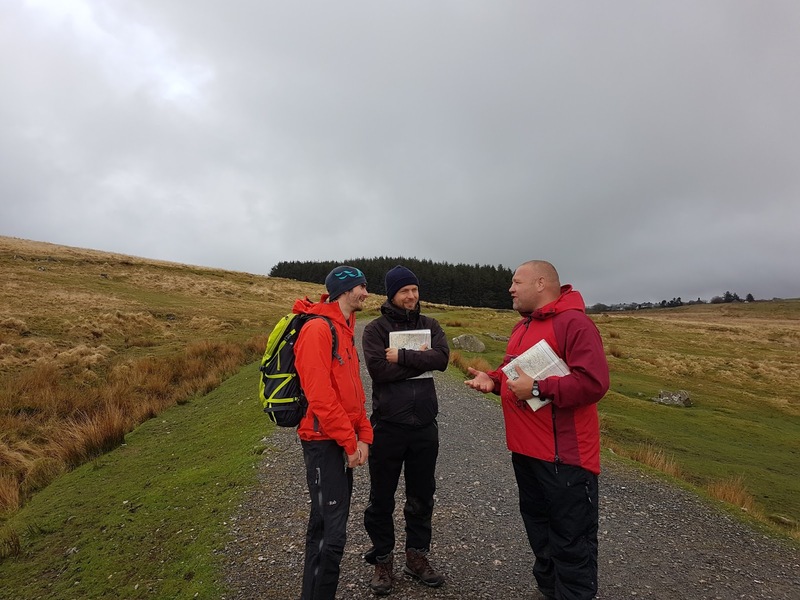 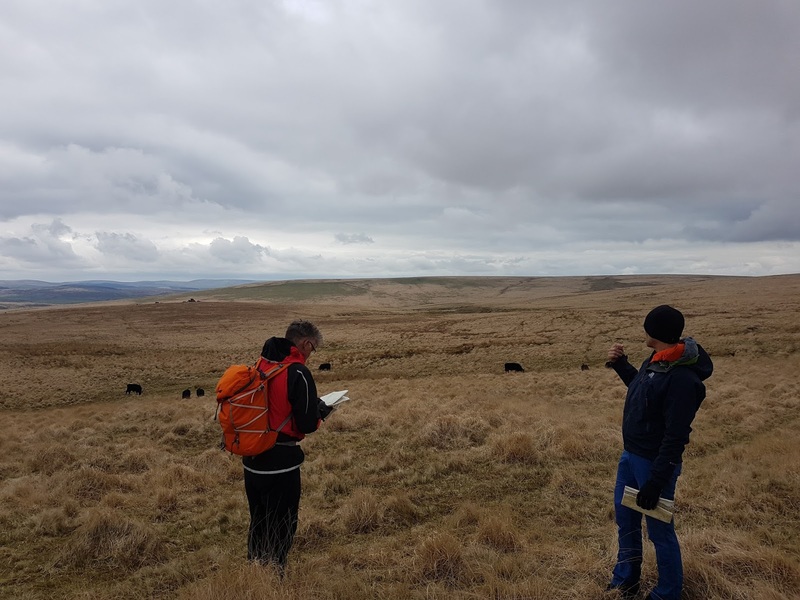 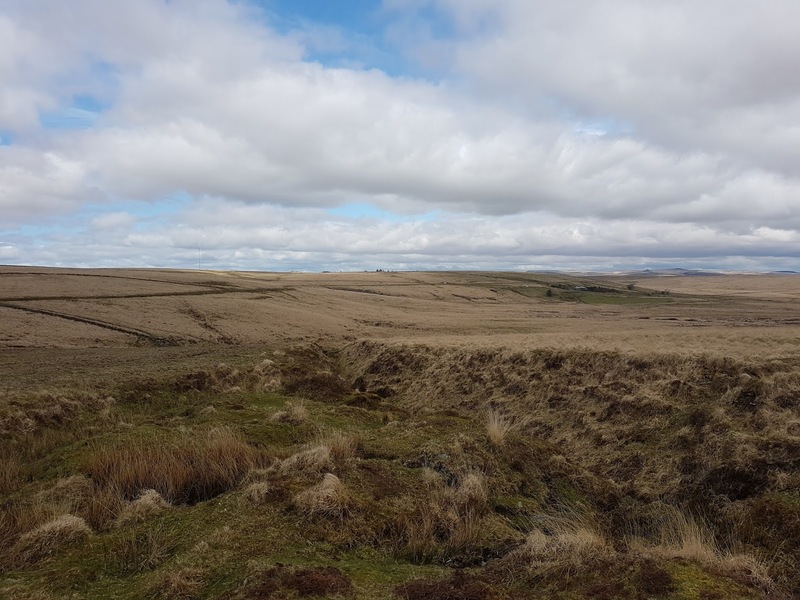 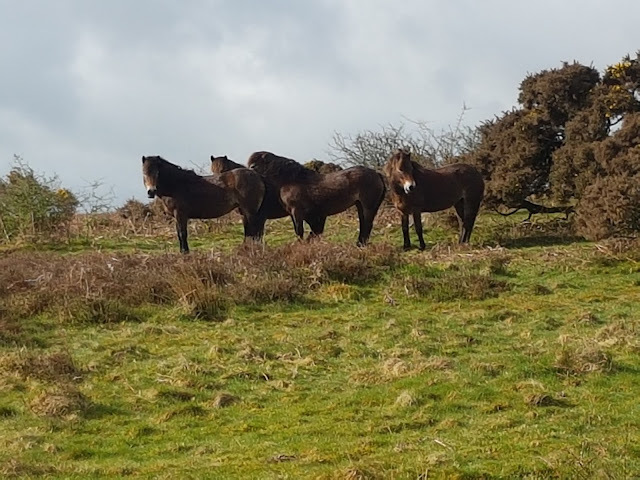 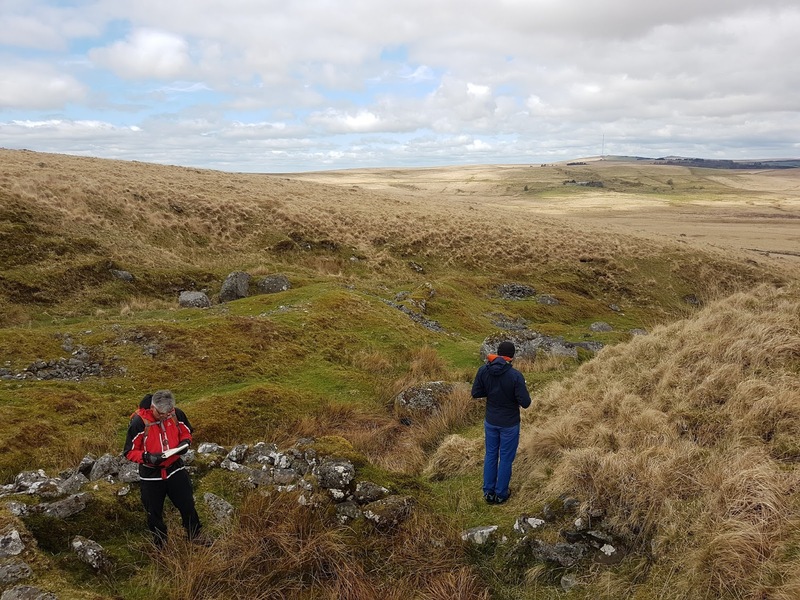 Out on the southern part of Dartmoor today conducting a Gold NNAS assessment for Wet and High Adventures Ltd. A nice day out with a couple of keen candidates in dry conditions. At least dry from above, it was definitely wet underfoot. 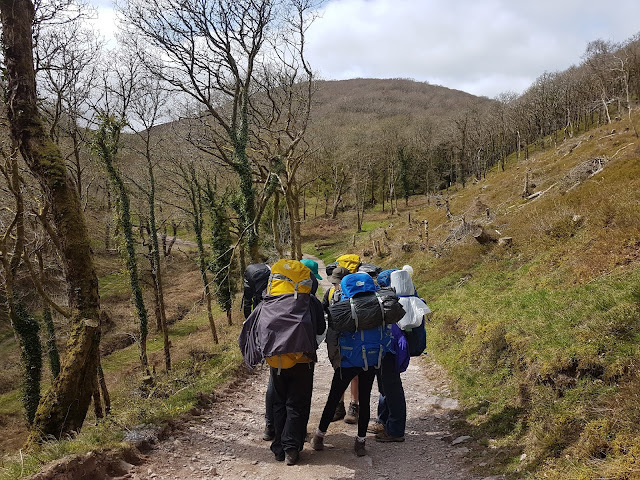 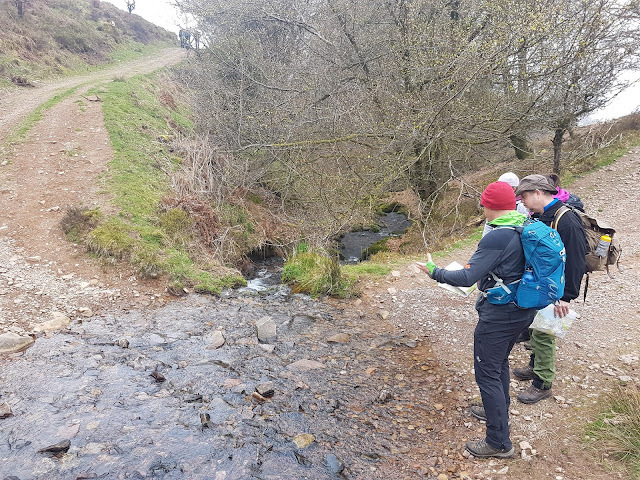 For the last 3 days I have been with Bridgwater and Taunton College Public Services students on Exmoor for an expedition from Porlock Weir to Tarr Steps. 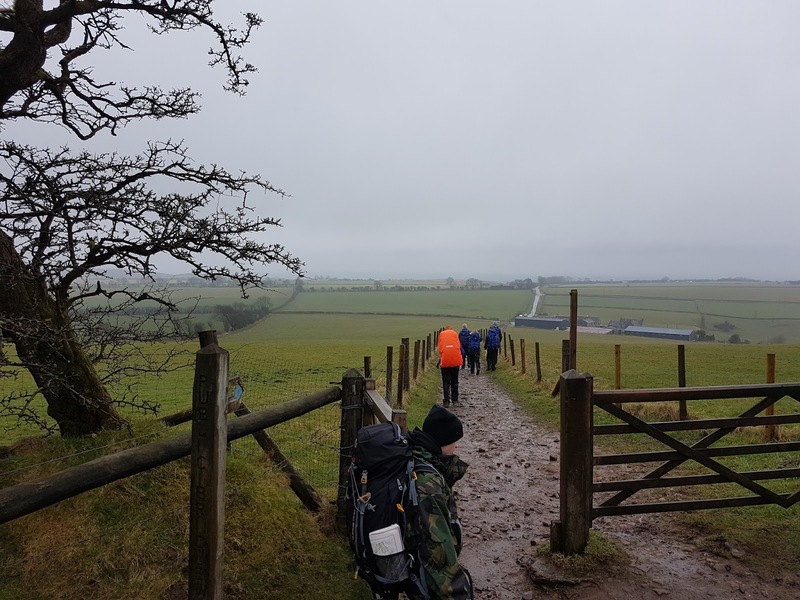 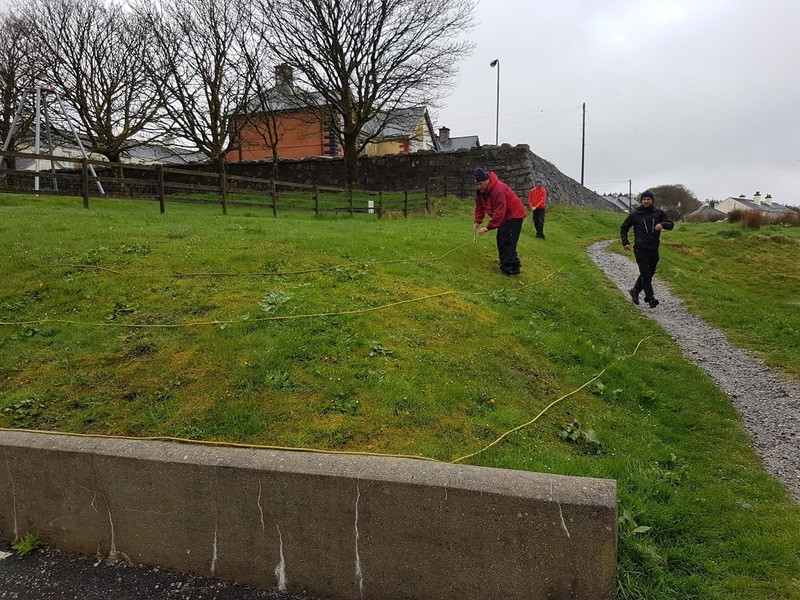 With the weather changing from warm and sunny to downright wet and miserable, all the students completed the walk and some even enjoyed it. 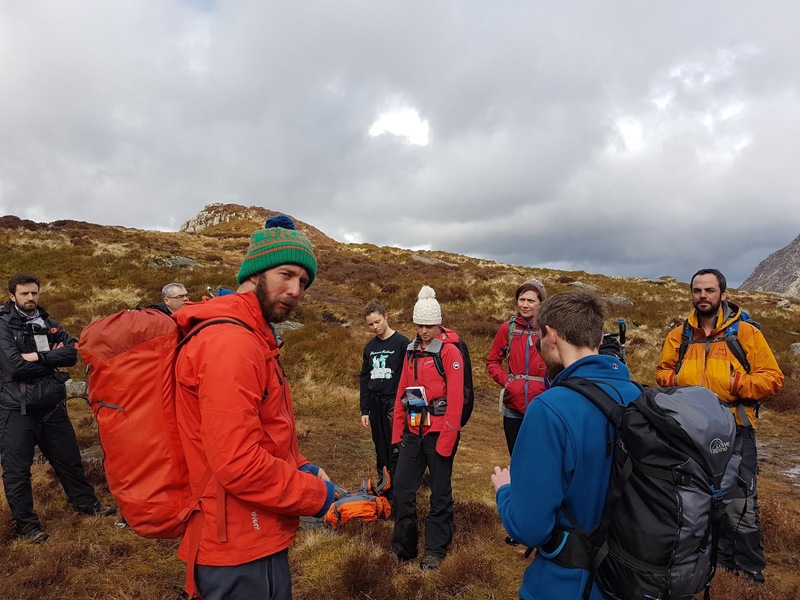 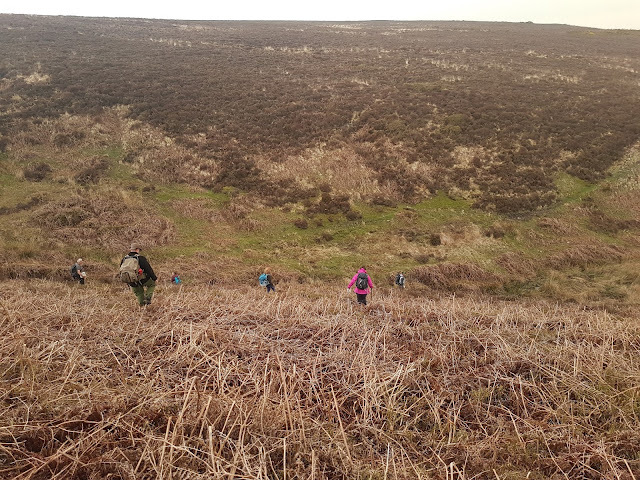 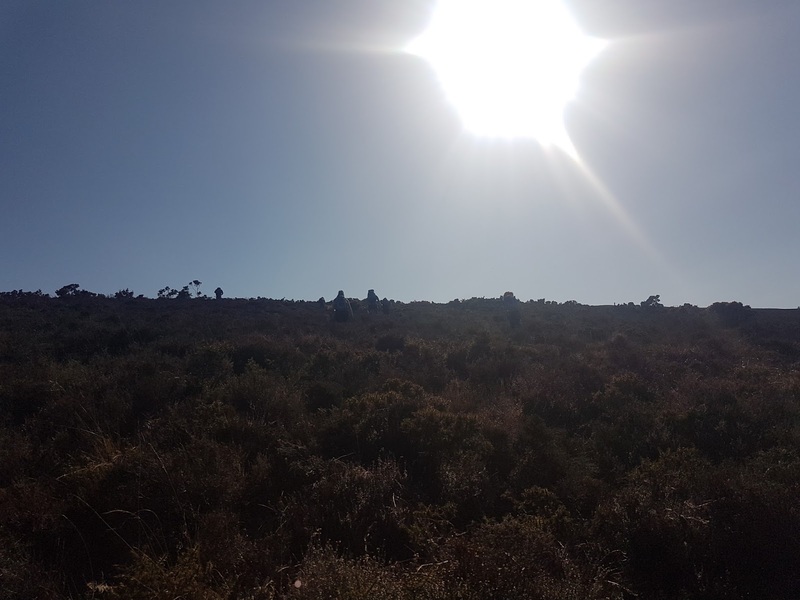 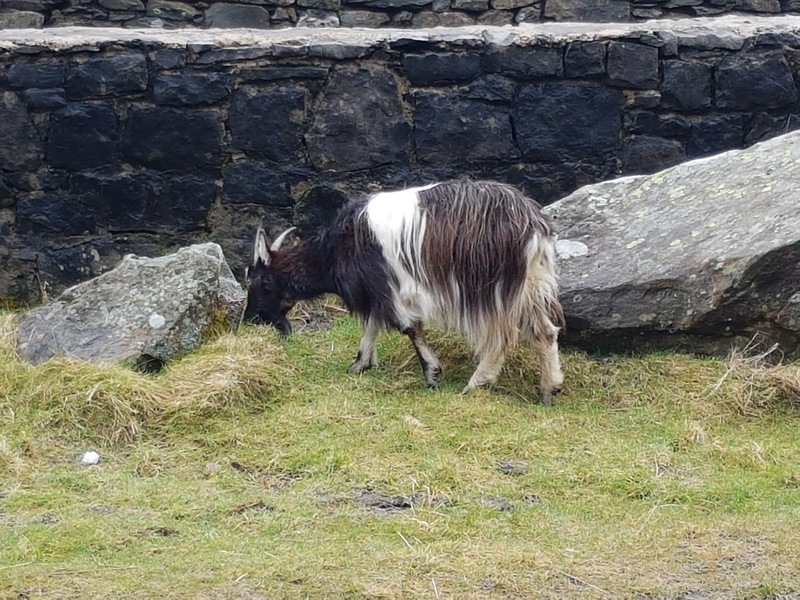 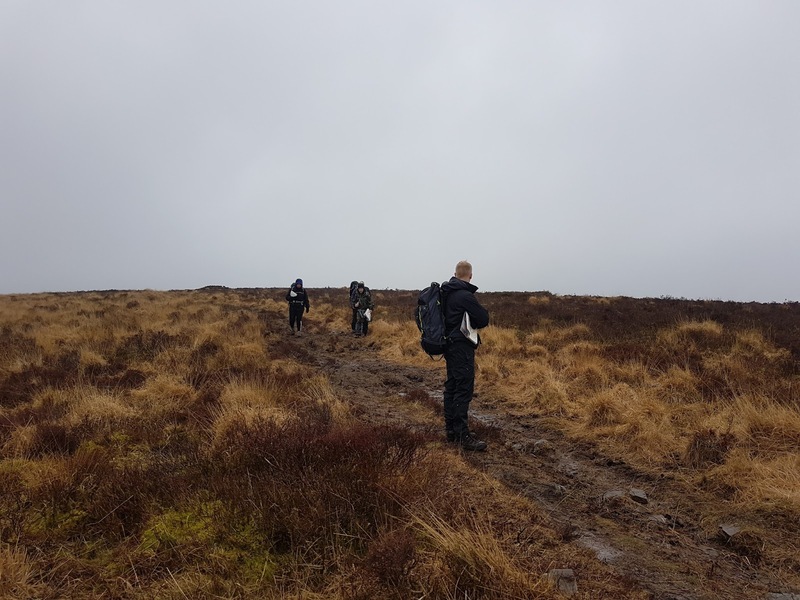 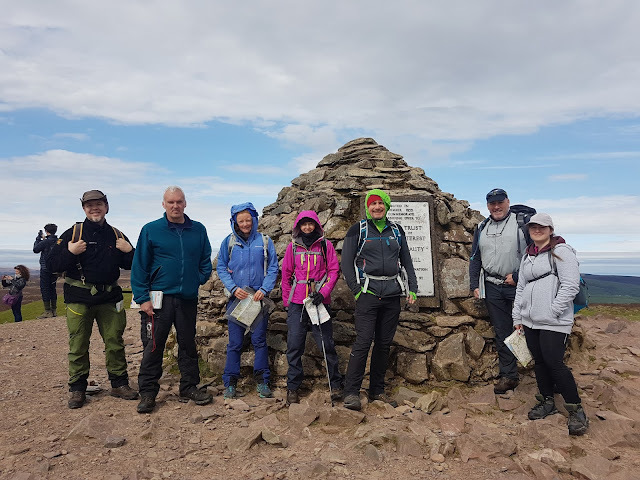 On the third and final day of the Hill and Moorland Leader Training we spent some time dealing with incidents, leading each other around, navigating, talking about plants, seeing a huge herd of deer and a few ponies. 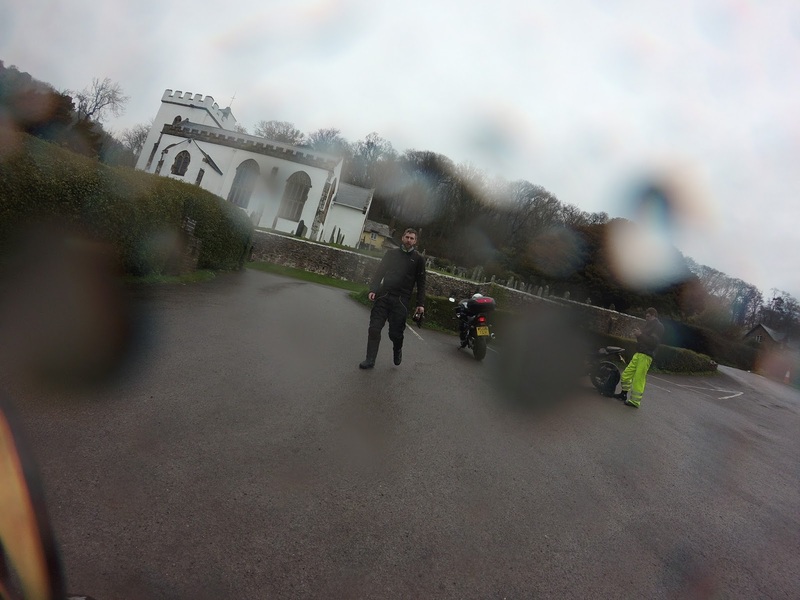 After a hot and muggy start there was finally some relief from the heat during the 5 minute rain shower. After 3 days out working for Wet and High Adventures Ltd, I am back home doing admin before heading back to Exmoor for a 3 day expedition tomorrow. 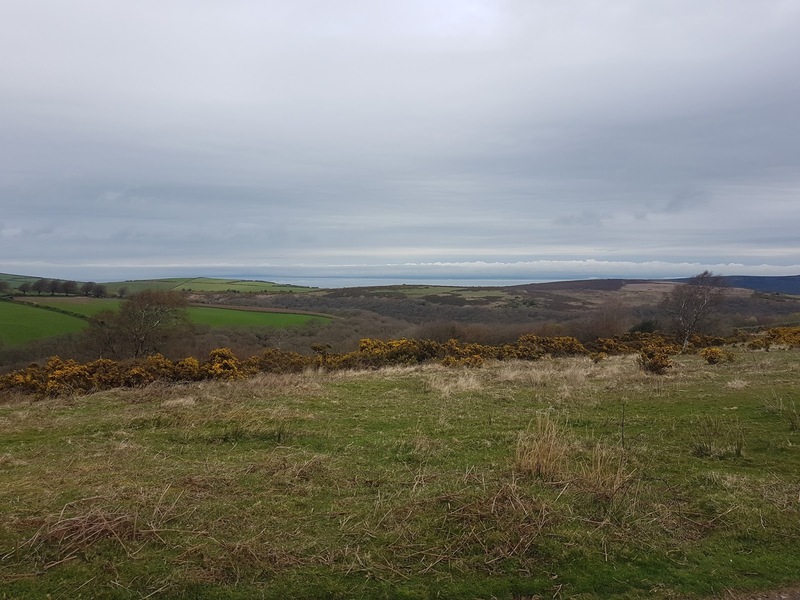 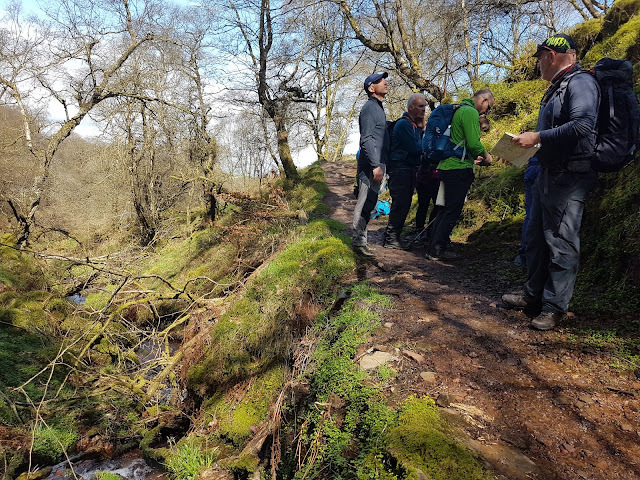 Out on Exmoor for the second day of the Hill and Moorland Leader Training I am directing for Wet and High Adventures Ltd. After our morning weather briefing we split into two groups and Mark took one and I the other. 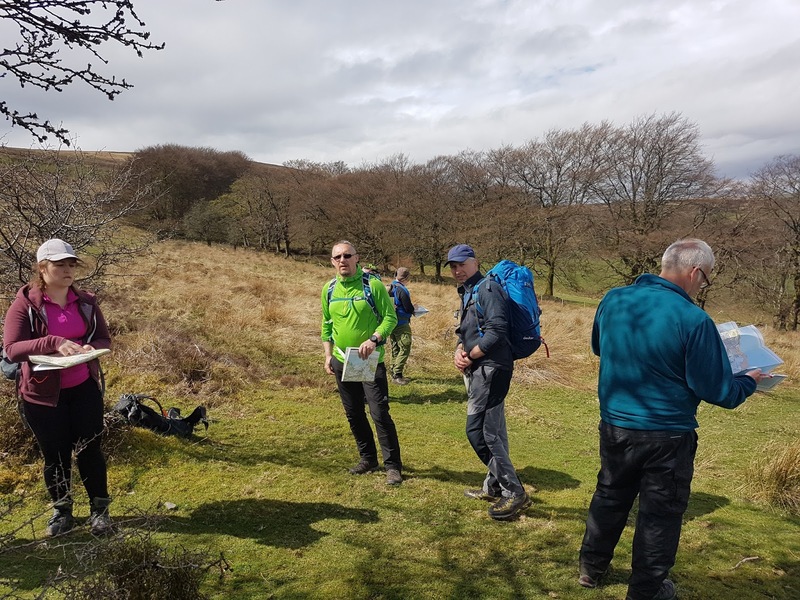 After a whole day of navigation on both 1:50k and 1:25k maps, we had a food break before heading back out into darkness. 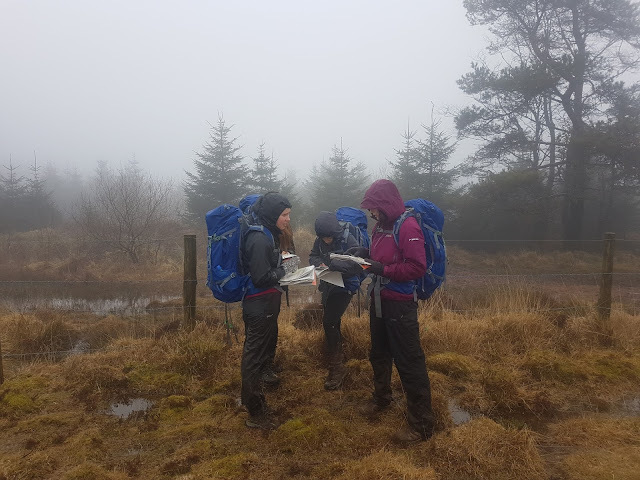 Some night navigation and looking at Google Sky Map was a great way to end a very long day. 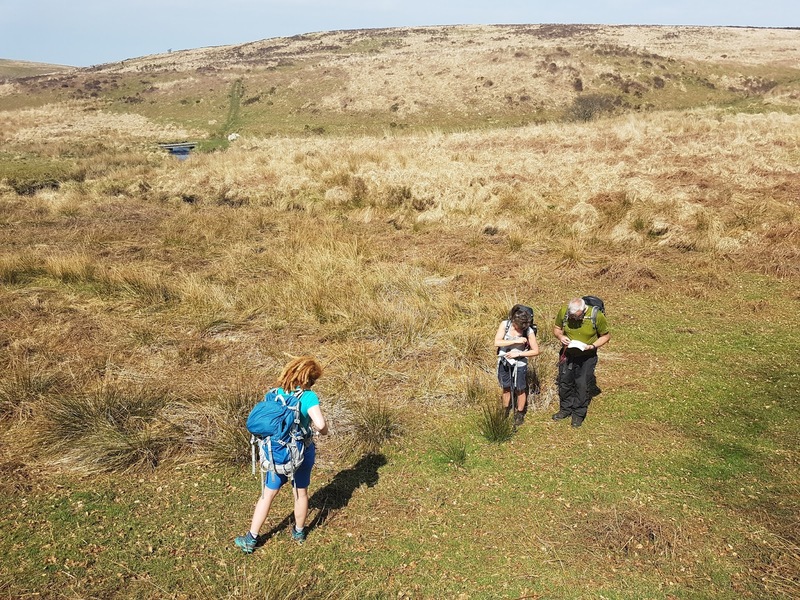 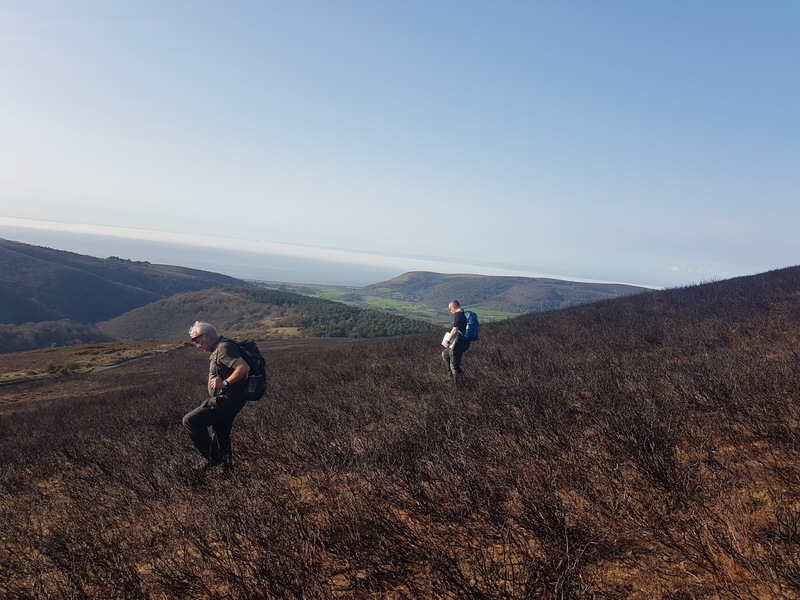 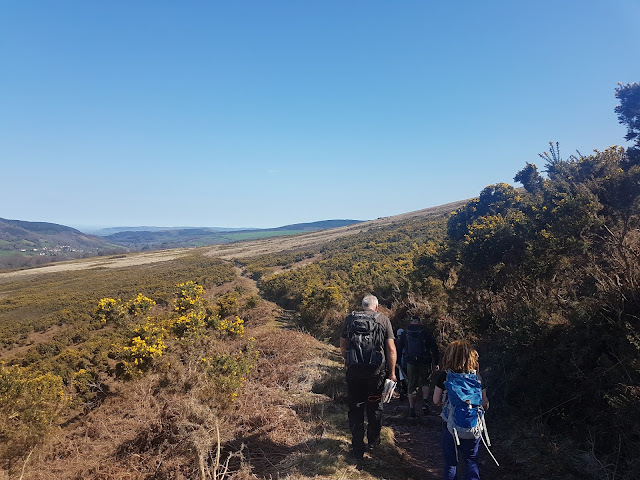 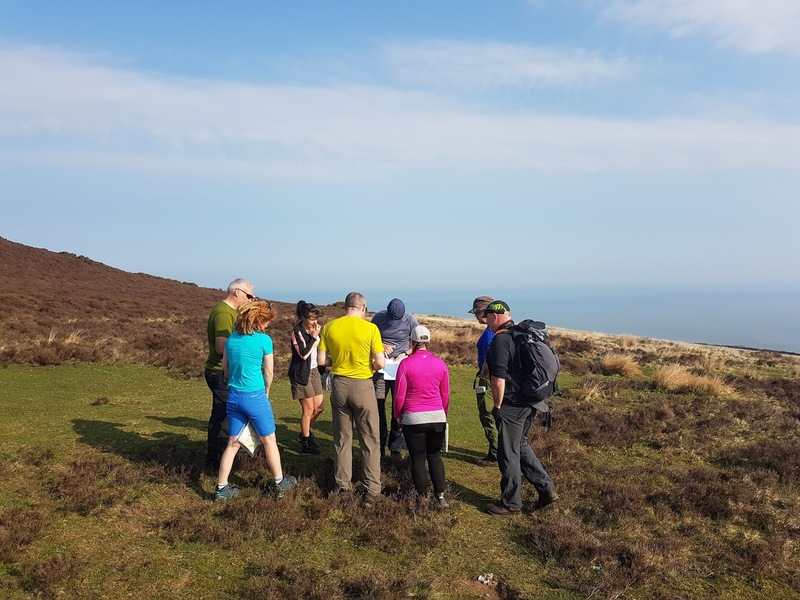 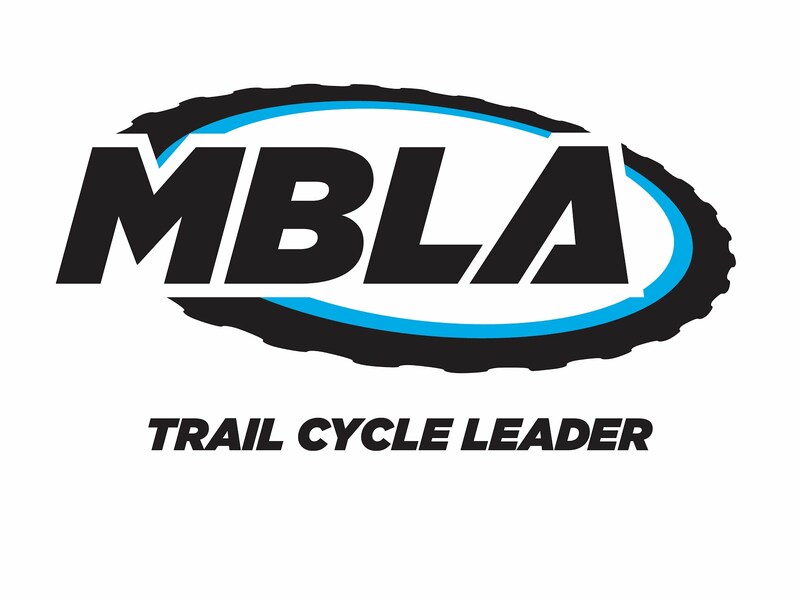 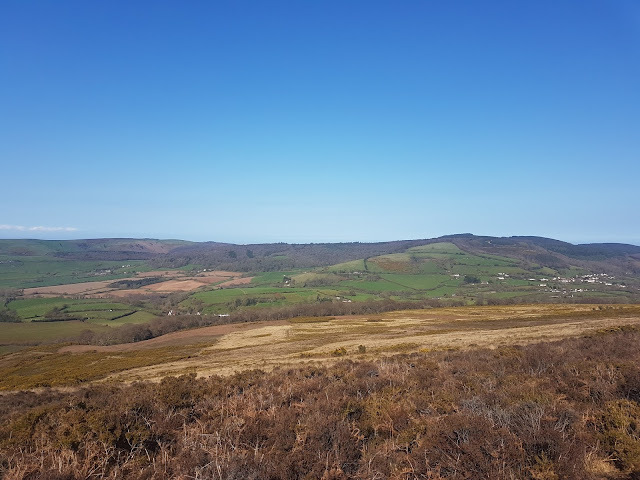 Out on a very sunny Exmoor today directing a Hill and Moorland Leader Training for Wet and High Adventures Ltd. Good to be working with Mark and the 7 candidates looking at all aspects of navigation and some environmental knowledge. 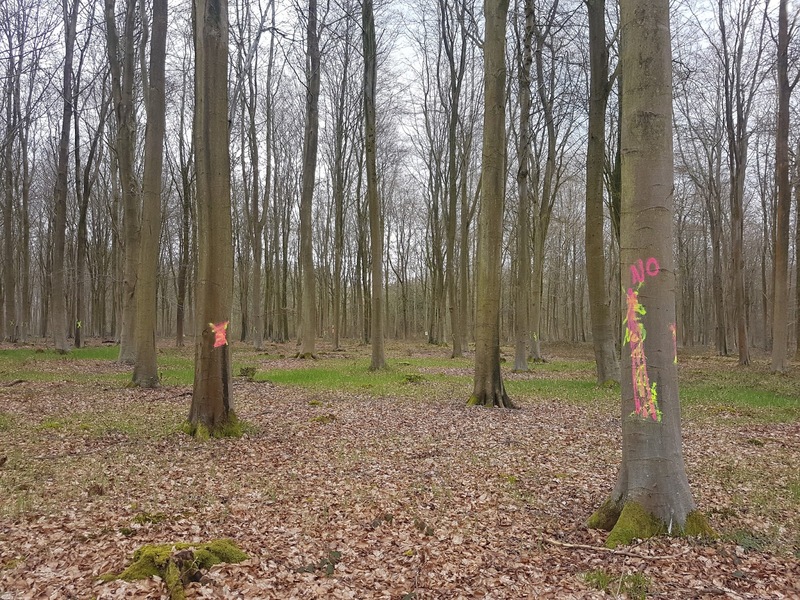 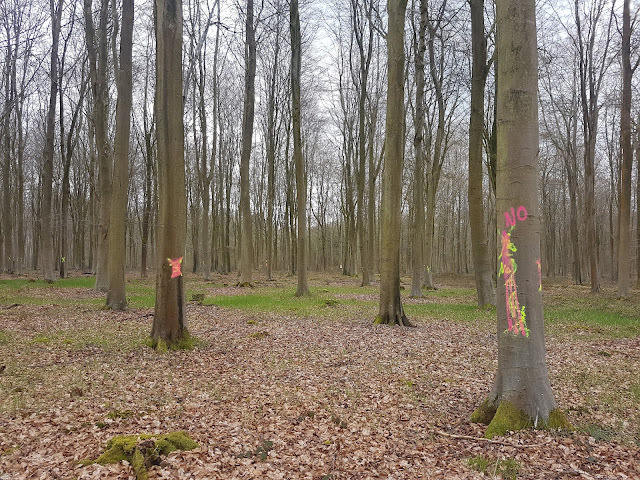 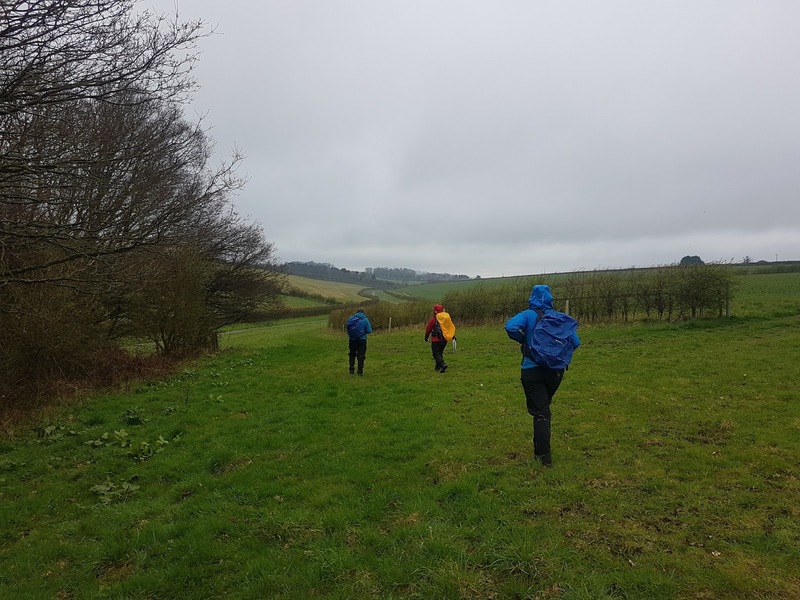 A much "woodier" day today for the second and final day of the Lowland Leader Assessment I am running in The North Wessex Downs area. 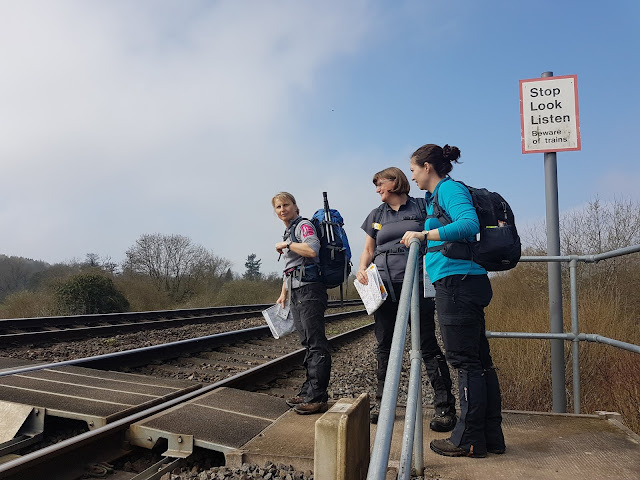 Yesterday in West Berkshire and today in Wiltshire. 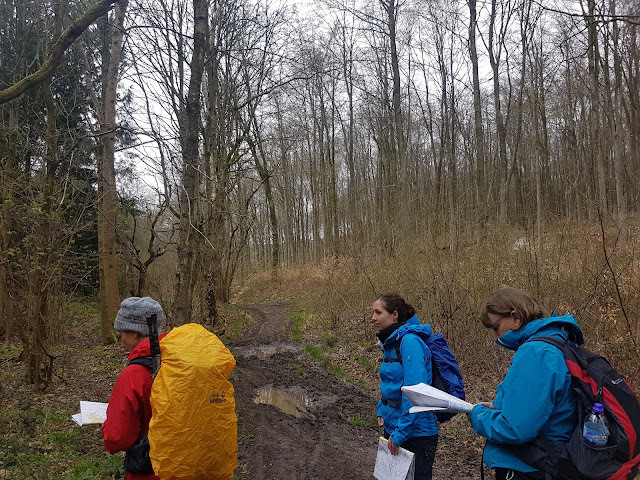 Lots of forest tracks explored and even the afternoon rain did not dampen the mood. 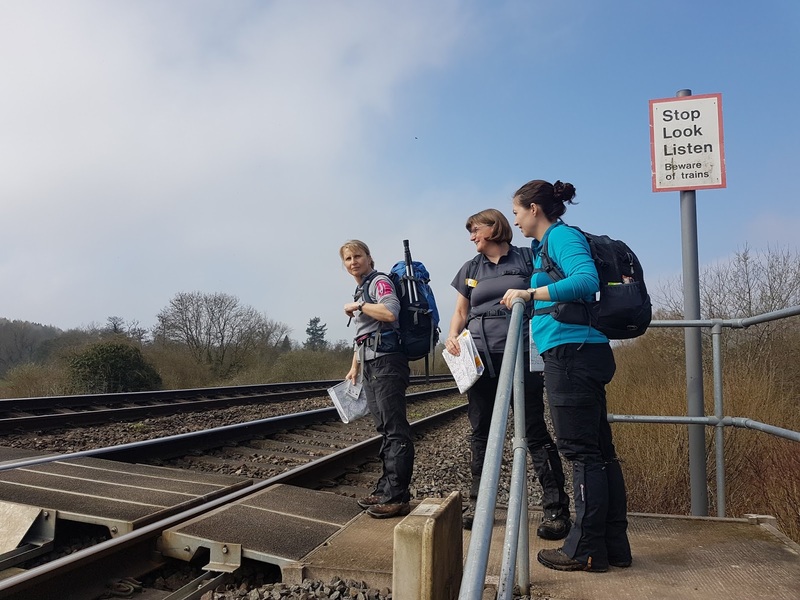 Out somewhere new today on The North Wessex Downs directing a Lowland Leader Assessment for Wet and High Adventures Ltd. After only a few minutes we had our first hazard to deal with, a railway crossing! Lots seen and done today and once the mist burnt off it was glorious sunshine. 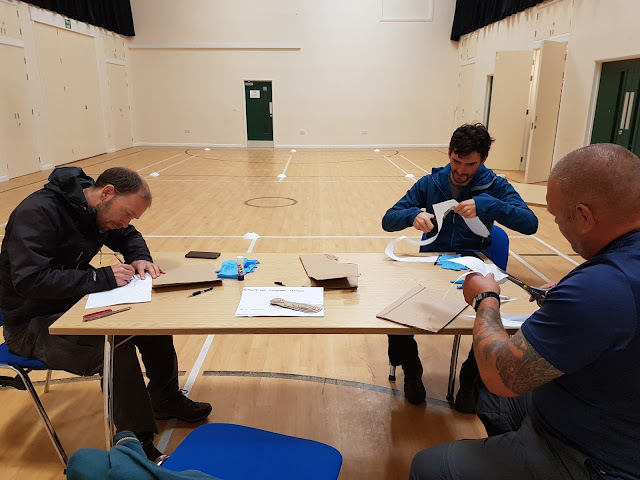 Within 2 minutes of getting home, I was called out in my role as a Marine Mammal Medic for British Divers Marine Life Rescue for a badly injured Porpoise at Burnham-on-Sea. Sadly we were unable to save it. 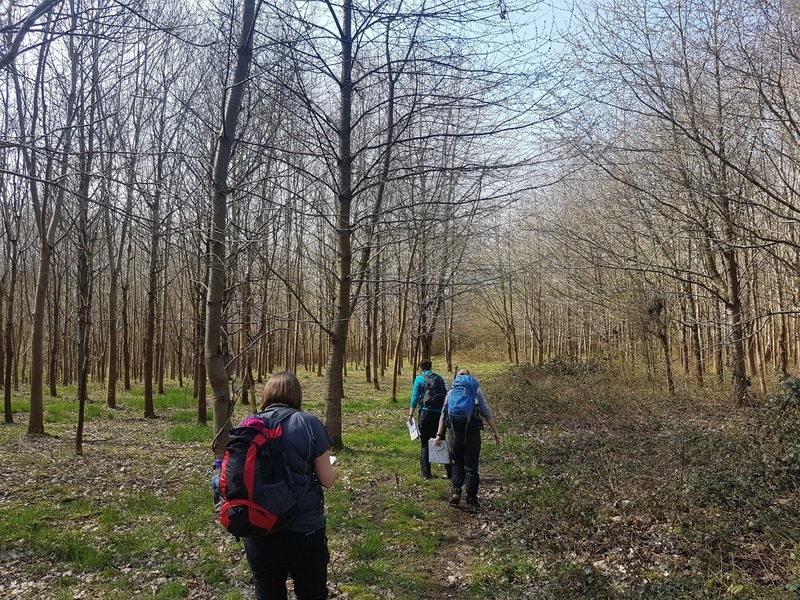 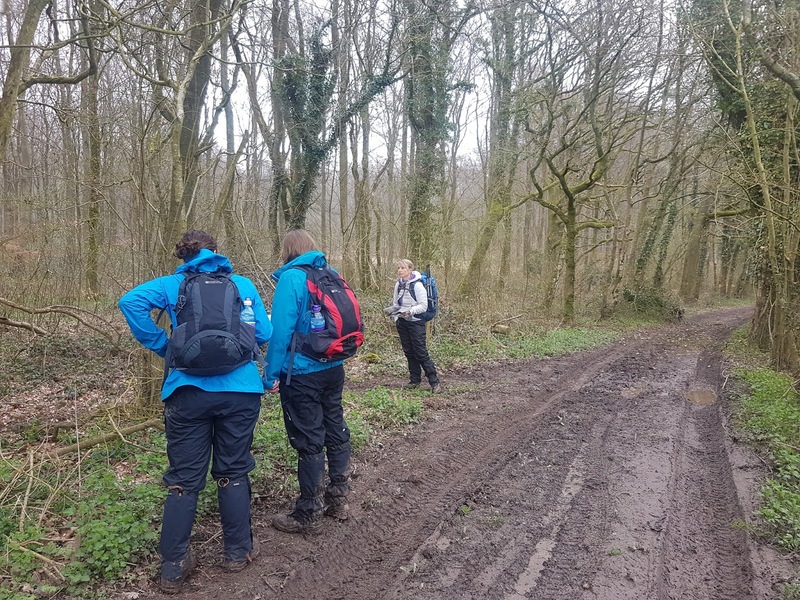 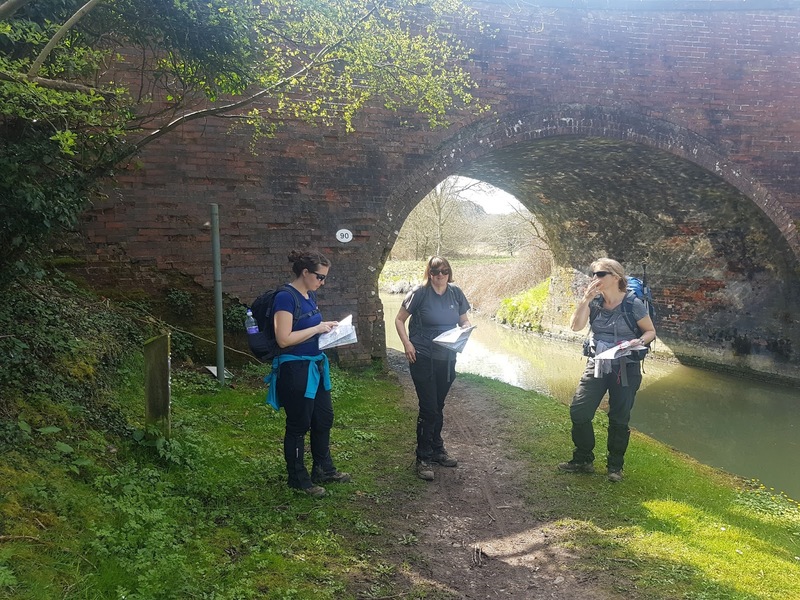 Back out on The Mendips today with another group of Bridgwater and Taunton College Public Services students for some more navigation assessments. A number of Bronze and Silver NNAS awards were achieved today. 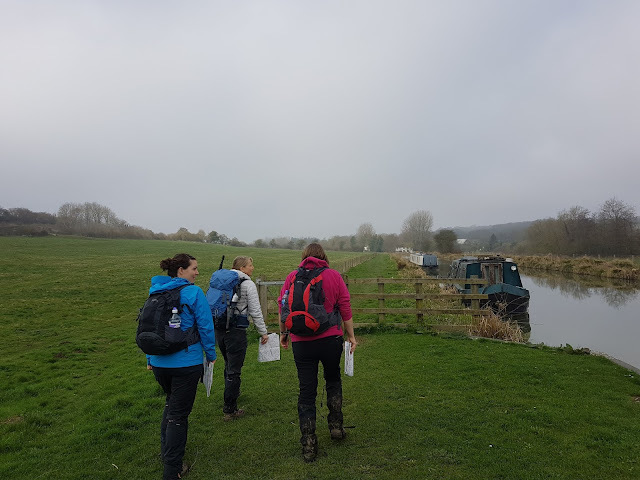 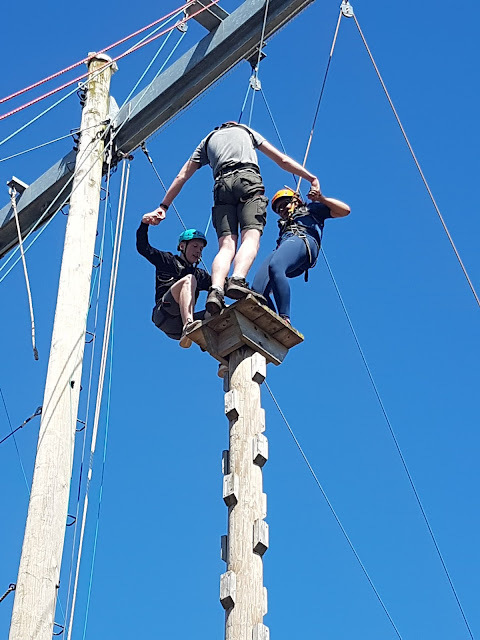 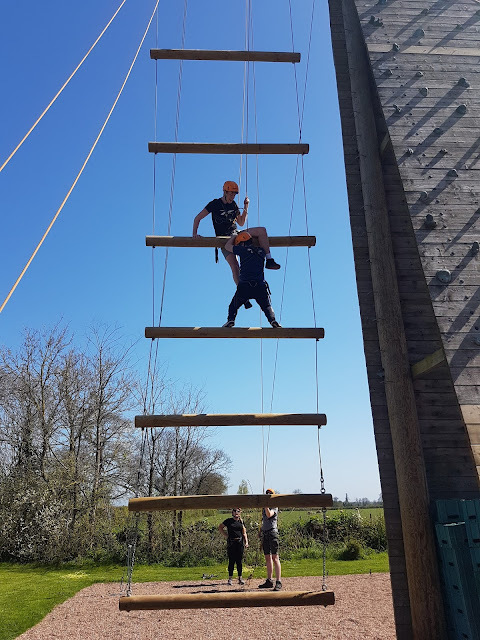 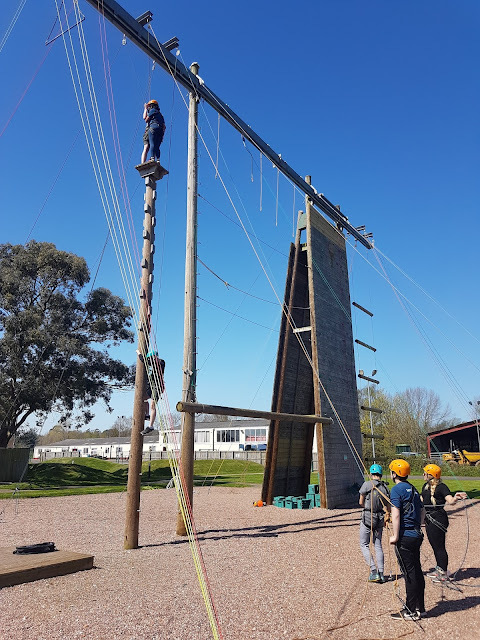 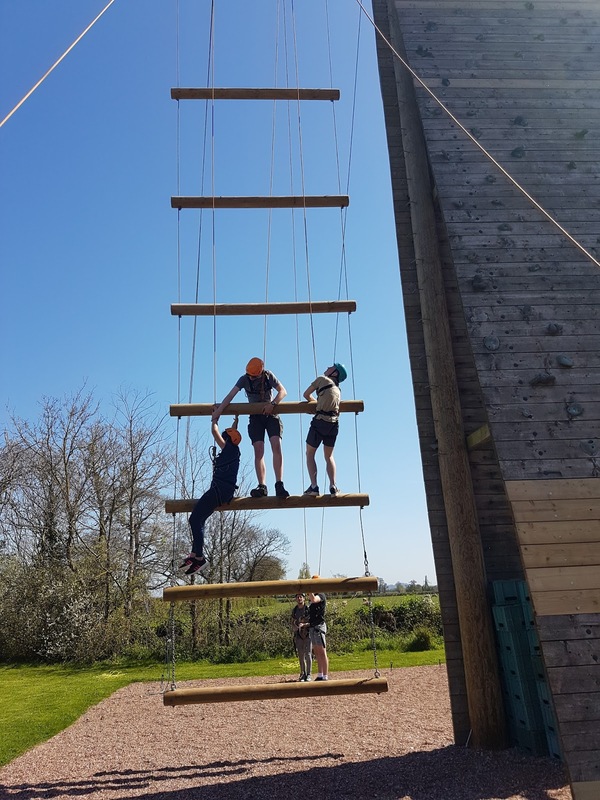 After a few weather postponements, I finally got round the running the 2nd day of a NNAS Bronze course for Public Service students from Bridgwater and Taunton College. 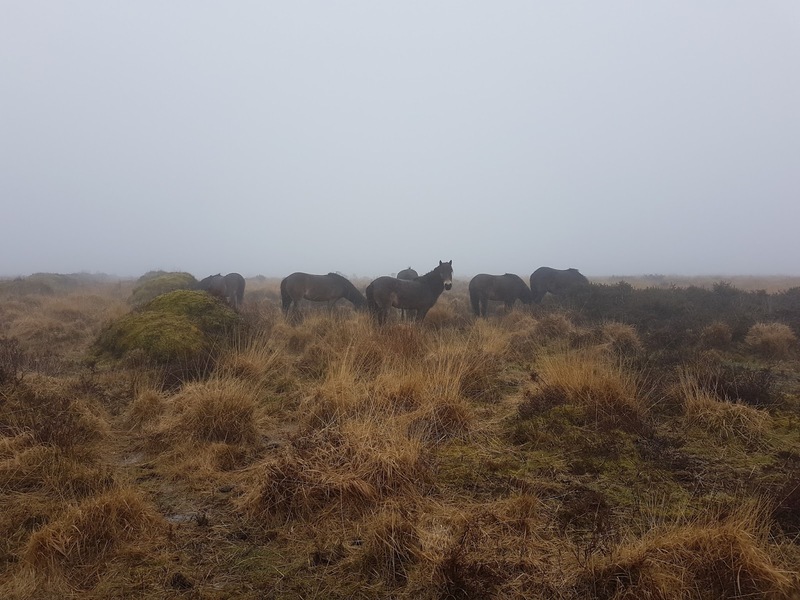 12 in total with Gail, Martin and I out assessing them in some wet conditions. 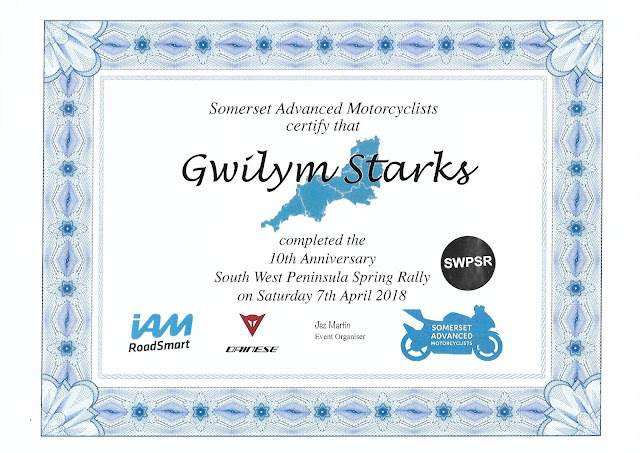 I left home at 7am this morning and met with Freddy and Matt for a day out on the bikes at the Somerset Advanced Motorcyclists Spring Rally. 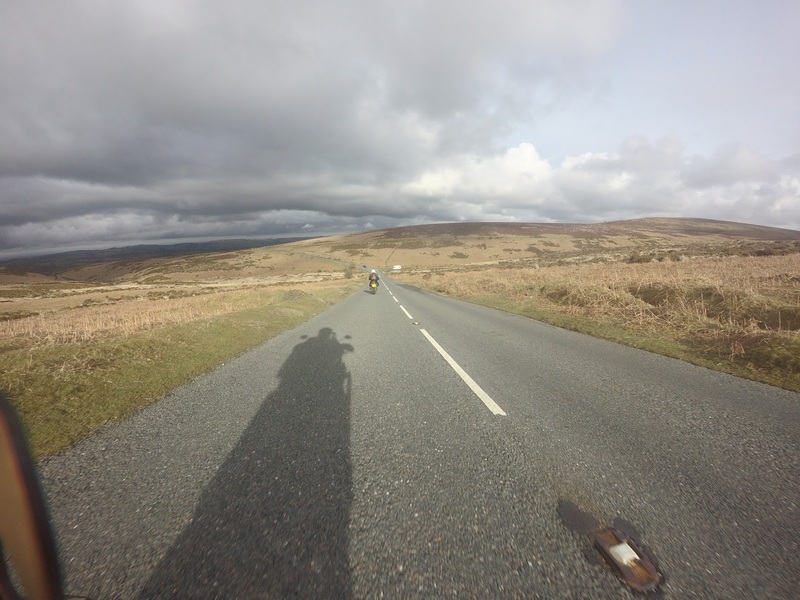 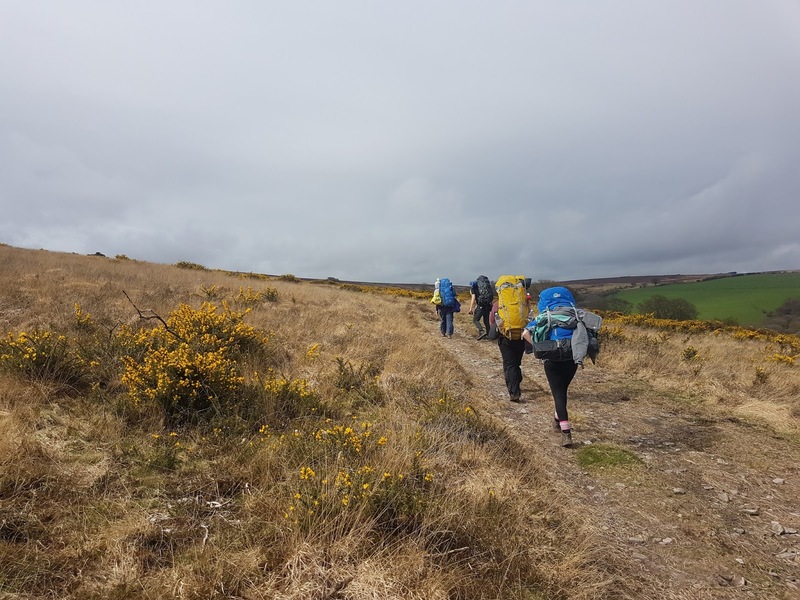 Starting at Long Sutton, we had it all with heavy rain and 10 metre (at best) visibility around Ilfracombe but amazing sunshine and views over Dartmoor. The very wet morning meant we hid in a cafe for a while and decided not to go for Gold but to enjoy staying out of the rain and go for Silver instead. 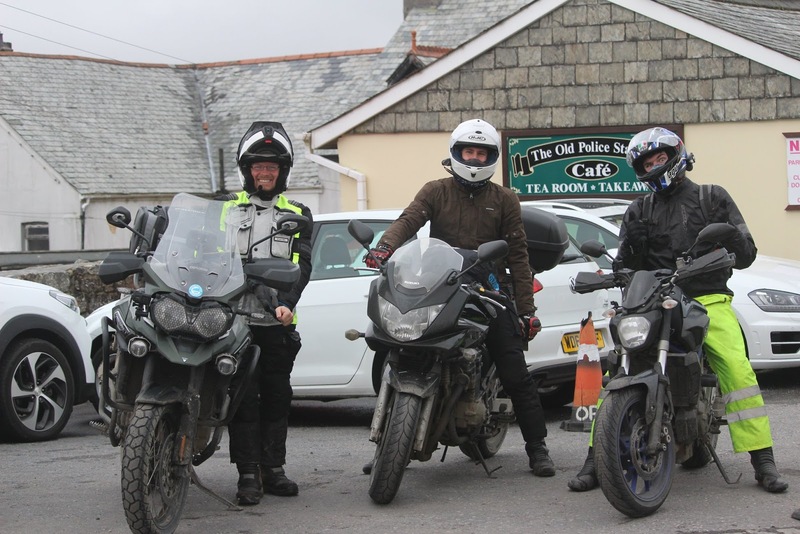 We visited 12 unmanned and 2 manned checkpoints (Ilfracombe and Princetown). My highlight of the day was styling it through a deep flood on my bike which was coping with everything that was thrown at it. 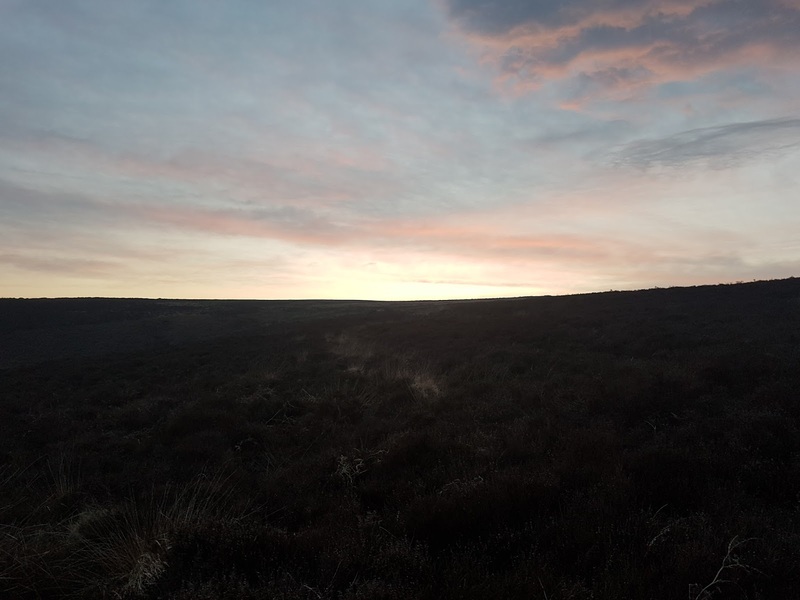 Very grateful for the heated seat today. 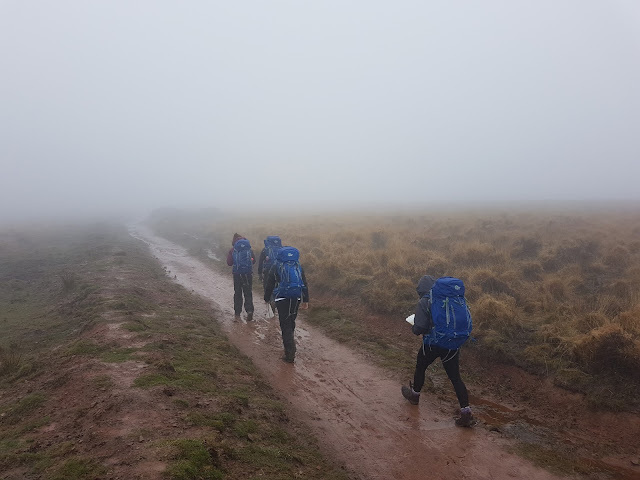 Pretty much like a day in The Alps for the 4th day of the Mountain Leader Training course I am directing for Wet and High Adventures Ltd. 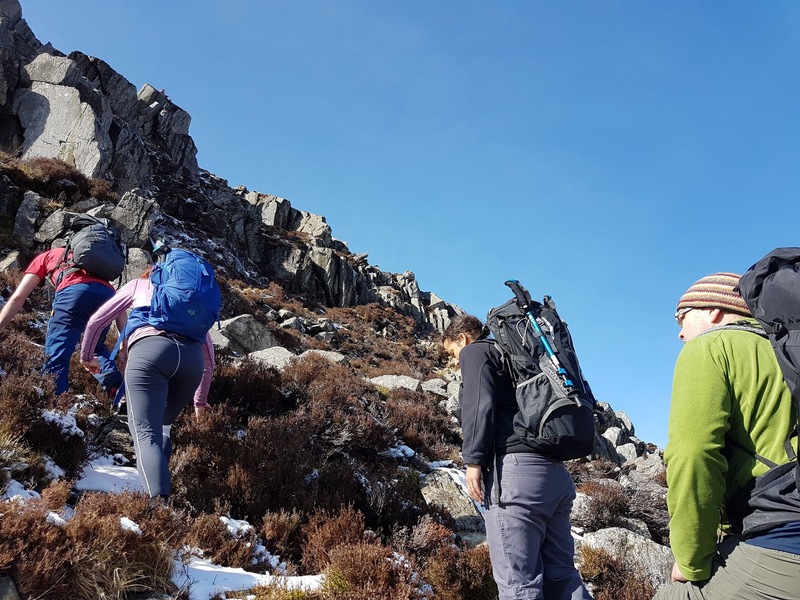 Warm sunshine, clear summits and great visibility. 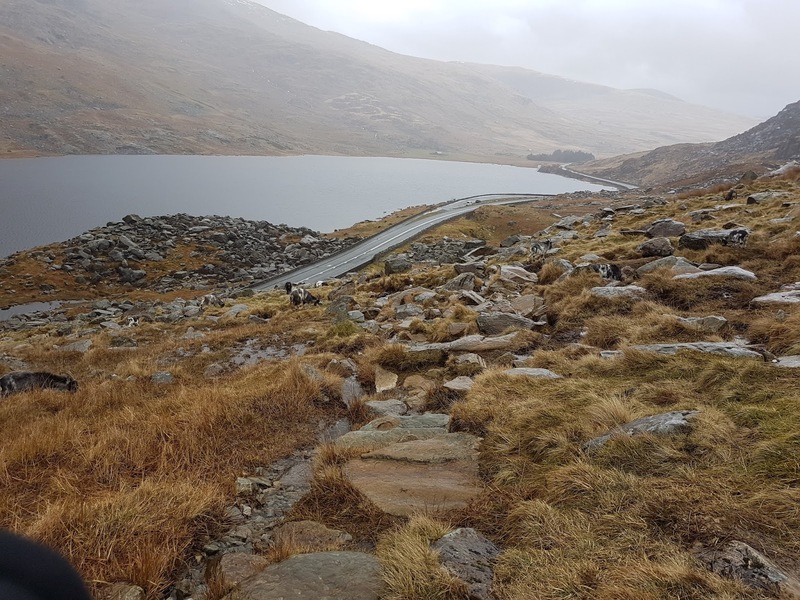 The added bonus of looking down onto some fast jets and a Hercules coming through the Ogwen valley whilst we zig zagged up and down Tryfan. I have now handed the course over to Stu and have arrived in southern Snowdonia to assist Bristol Choir School with the last day of their Gold DofE Practice before heading back down south tomorrow afternoon. 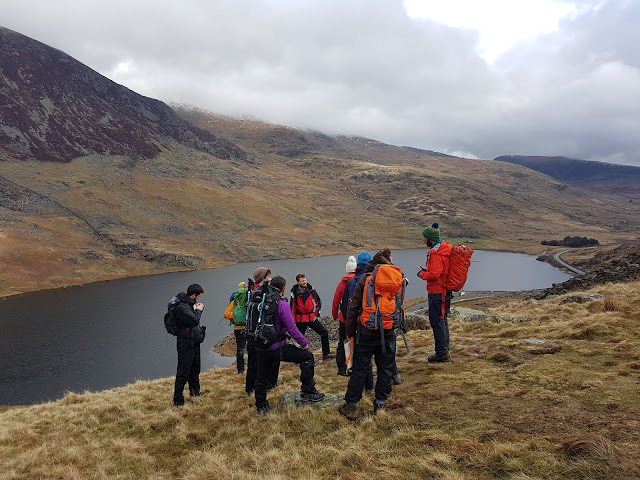 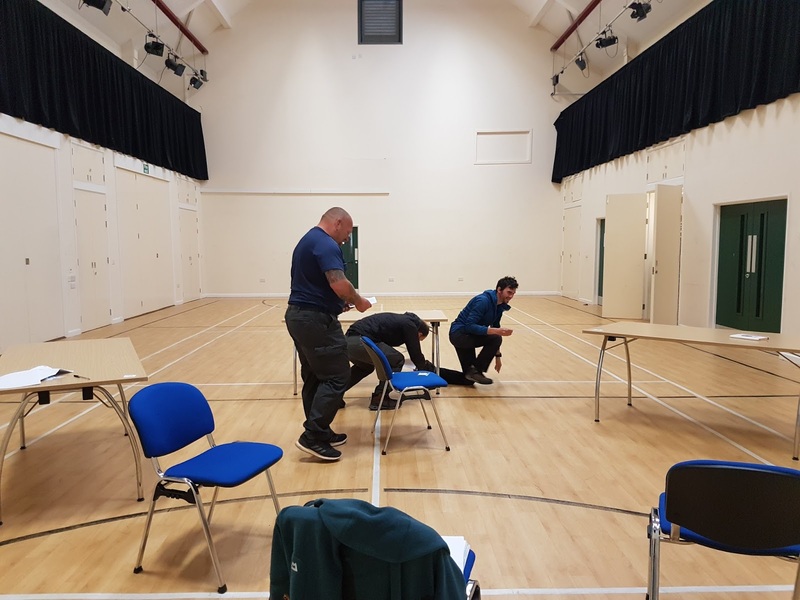 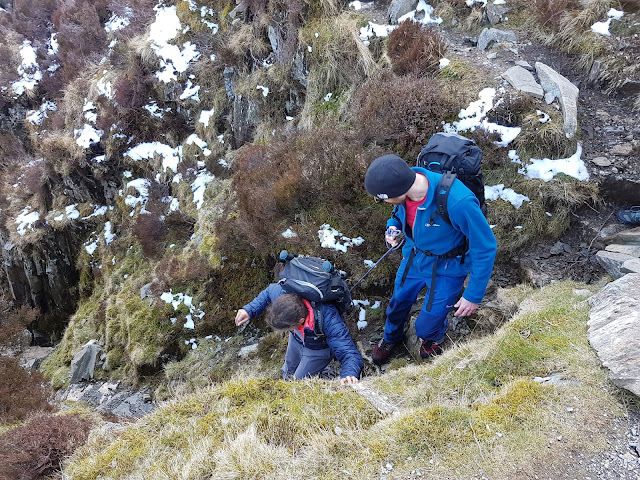 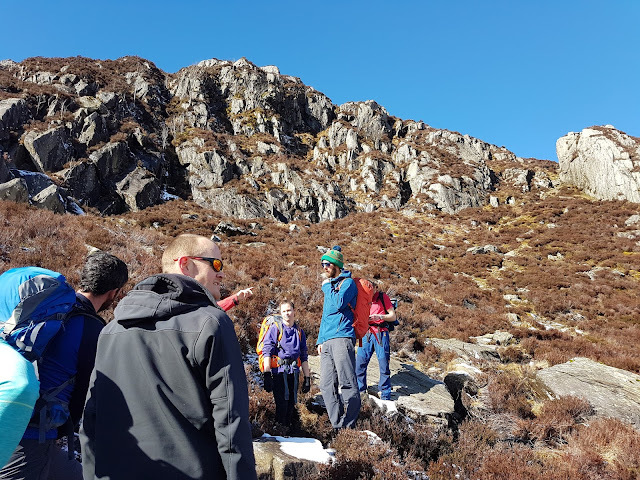 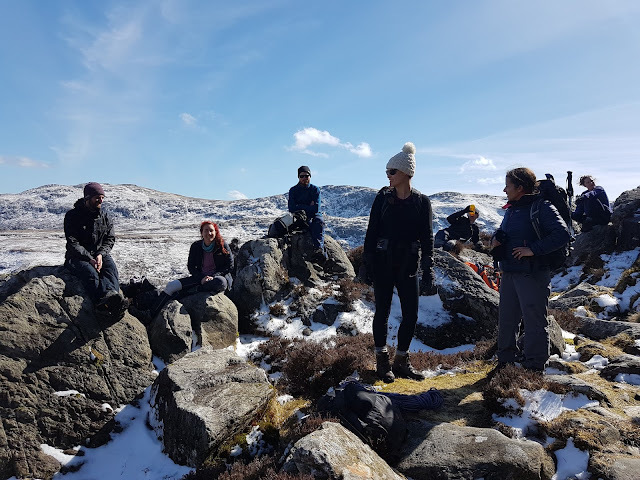 The third day of the Mountain Leader Training course was spent in Ogwen looking at navigation, leadership and the environment. A bright start followed by a very wet afternoon was the order of the day and yet we still managed to fins lot to look at an talk about. The herd of feral goats that welcomed us into the carpark was a nice start. 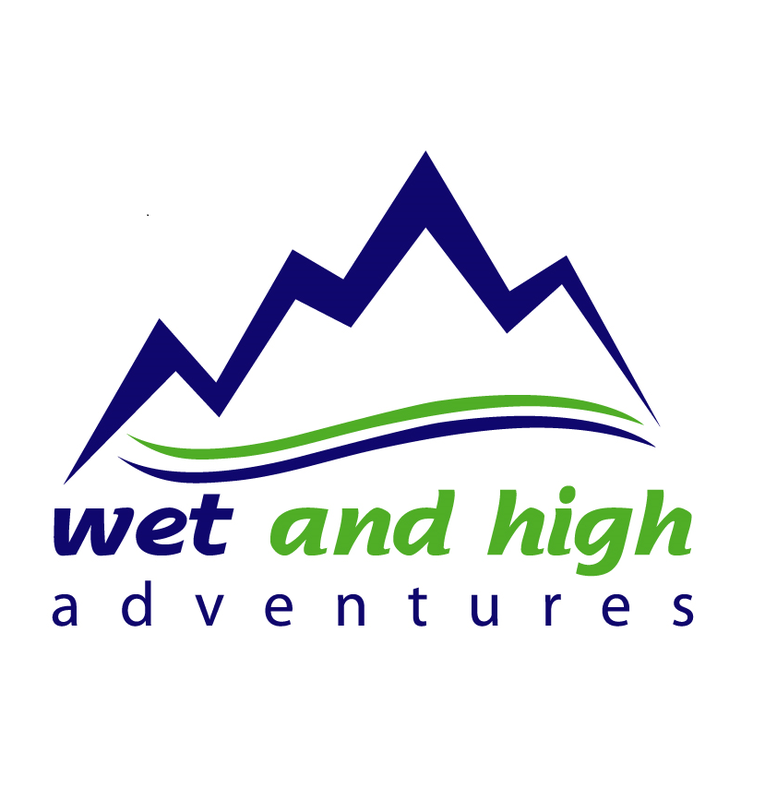 As per all the other days this week, it is good to be working with Stu Lade as my second staff member on the course run for Wet and High Adventures Ltd.